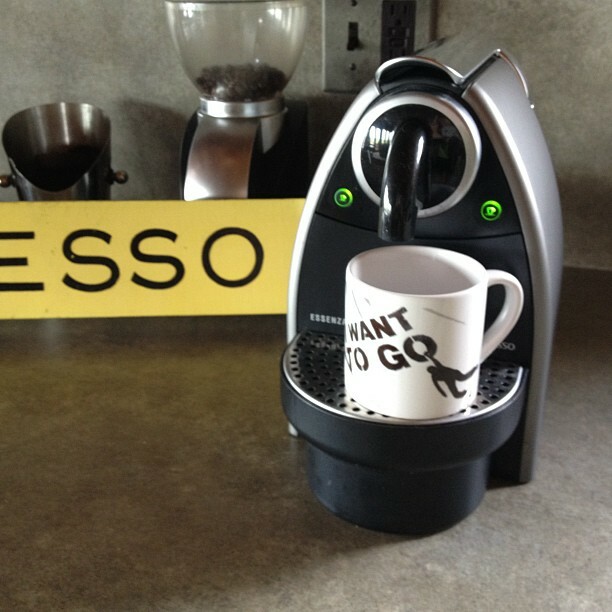 From personal experience, and looking at the results of the poll to the right, it’s clear that it’s important for you all to find a coffee cup that fits under the spout of your Nespresso machine, allowing you hands-free dispensing of your lungos. I try to find nice coffee mugs that will do just that. Not all of the mugs on this site will allow you hands-free dispensing, but most will. The key is for the mug to be 3.5″ tall or less. Check out the photos below of the Bodum cup on the Essenza machine — it just fits under the spout without any tilting. 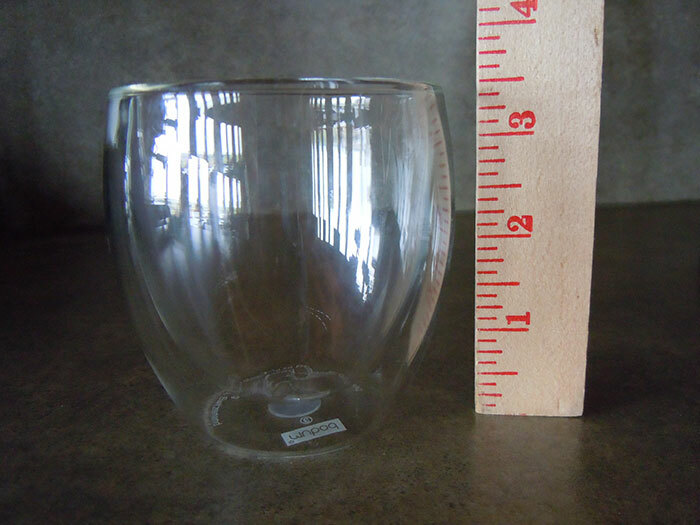 This cup is almost exactly 3.5″ tall. 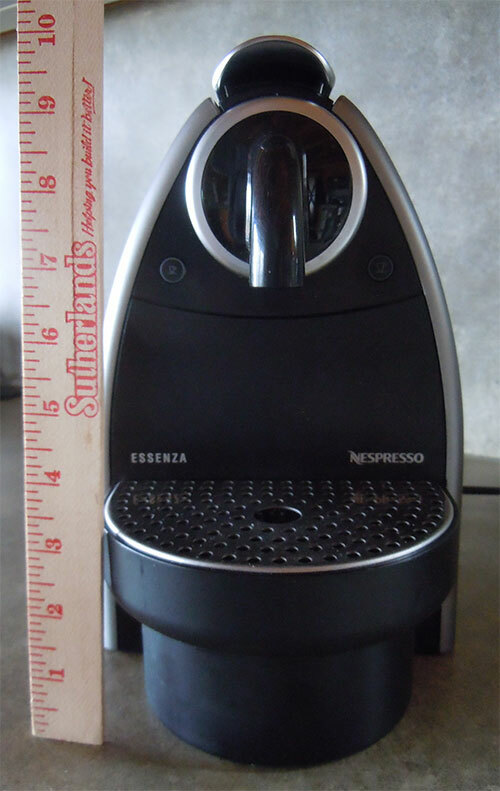 If a coffee cup on this site is 3.5″ tall or less, I’ve put it in the “Fits Under Spout” category. If you think I’ve mis-labeled any mugs in this category, please let me know. I do not own each mug, but I do contact the manufacturers to verify the height, so this should be solid information for you! 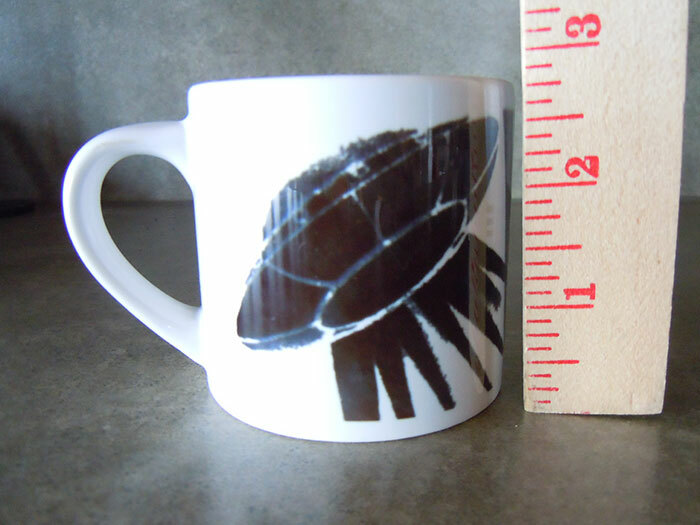 Many of our mugs are offered by Zazzle.com, which is a large “print-on-demand” provider. 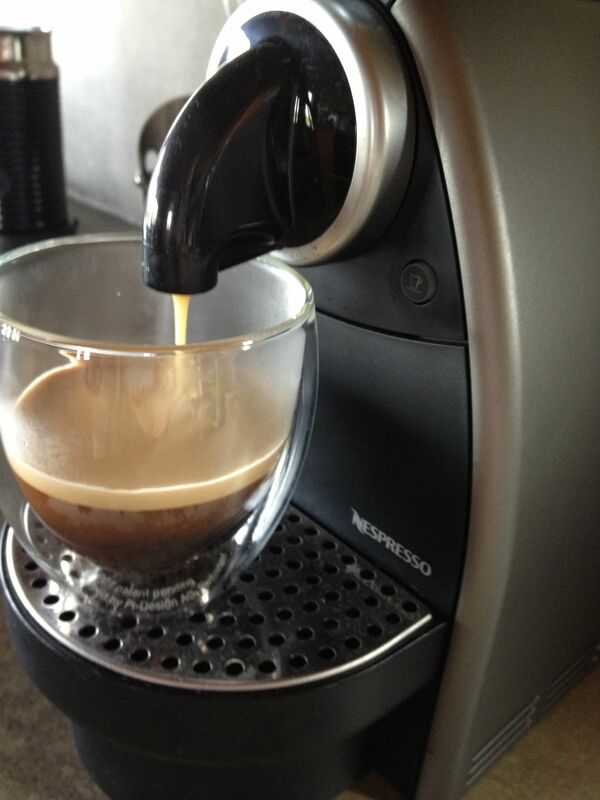 They only offer high-quality products, including our Lungo mugs. Each ceramic mug is hand-printed, as well as dishwasher and microwave safe. Occasionally, we find mugs elsewhere that are the prefect size for a Nespresso machine and the right capacity for a lungo coffee. We’re always looking! When we find something that will fit in your machine and is the right size and shape, we’ll add it. Please check each post for specifications. 2.75″ high — fits comfortably in the Essenza models. 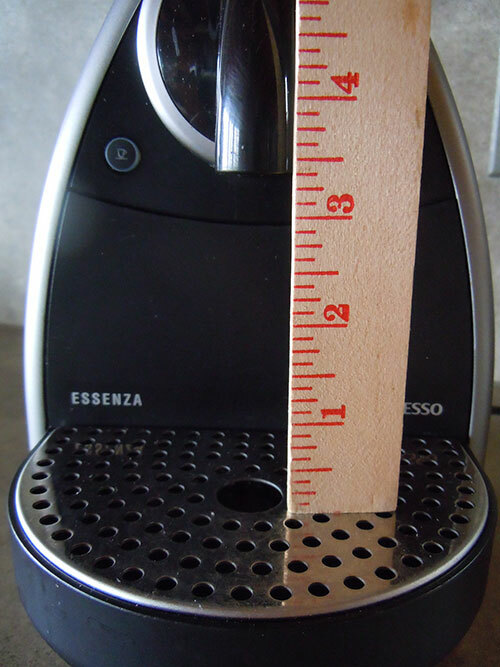 The images below show you Essenza and select mug measurements. See cup size on an Esssenza. Bodum 8 oz. on Essenza.